(HARLINGEN) – Hugo Gamboa of Los Fresnos is a Mechatronics Technology student at Texas State Technical College. He expects to graduate with an Associate of Applied Science degree in Spring 2019. After I graduate I hope to work for a company like Toyota. I want to get a few years of work experience under my belt and then go back to school. My dream job is to become a mechatronics engineer for Toyota. I first became interested in the company when my family purchased their first Toyota, plus I have heard that they offer great benefits and opportunities to grow. My greatest accomplishment so far is a project that I am working on: Creating a do-it-yourself vending machine. It’s amazing to see something you build come to life. And I am also extremely proud of the work I’ve done around TSTC repairing other vending machines. The greatest lesson I have learned is not to procrastinate. I was guilty of this in high school and had to learn the hard way when I enrolled at TSTC. 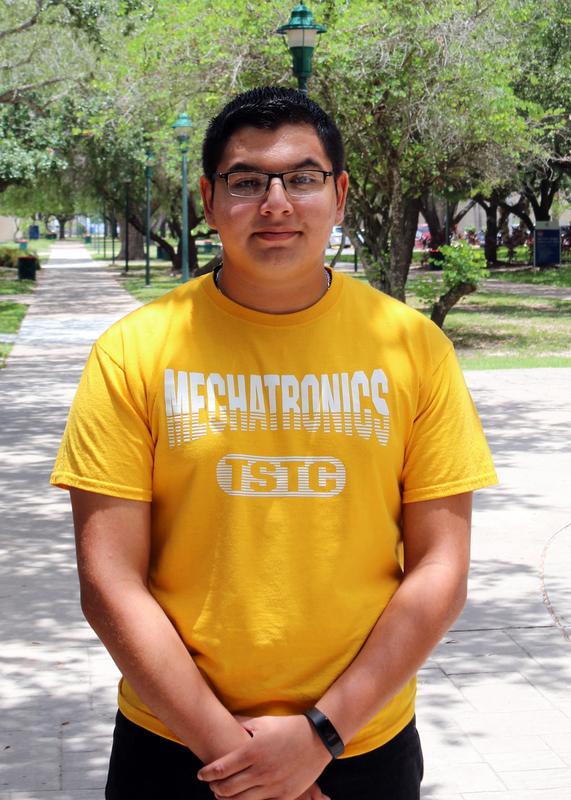 TSTC has been a pleasant surprise and has helped me with my study habits. I have also learned to never take opportunities for granted and to never give up on my dreams. It’s difficult to pick just one person because all of my instructors at TSTC have been great and accommodating. They calm me down when I am stressed and tell me not to worry and that I will get through it. They show that they have faith in me, which further motivates me. Trust your teachers. You may not know them well at first, but they are more than willing to run a mile for you if you show them that you are willing to put in the effort. Also, take your education seriously, but do not let it stress you out too much. Learning is like a dance. In order to perform it seamlessly, you have to know the steps and the beat first. Lastly, always pick yourself back up when you fall. This entry was posted in Harlingen on July 16, 2018 by Amanda Sotelo Sotelo.